The physical size or number of gallons or liters of water in your tank or sump does not matter, however the phosphate level does: The SURF2 is for water with phosphate less than 0.2 ppm; if phosphate is higher than 0.2ppm, get the SURF2x. And if you feed more than the above amounts, you can get multiple SURF2 or SURF2x units; multiple units are preferred over one larger unit because you can clean one unit per week, and because you'll always have one unit filtering while the other one starts growing again after a cleaning. Multiple SURF2 or SURF2x units are also good for backup. Comes with 3 ft (90 cm) of dual vinyl airline, but requires a 2-outlet air pump that can pump 5.0 total liters per minute (0.2 cfm), which small low-cost pumps cannot do. Pumps that say they can handle 10 or more airstones, or pumps with 2 tubing attachments instead of one, are best..You can have as much air as you like, however, 10 lpm pumps are no problem. One powerful pump which works exceptionally well for a low cost is the Fusion 700 from JW Pet, which we sell separately HERE. It is quiet and has two outputs which are adjustable by turning the control knob; the two outputs perfectly match the two air inlets on the SURF2 Another even more powerful and completely silent pump, although more expensive and without a control, is the Whisper 300 from Tetra. The Whisper 150 also works but you will need two of them. 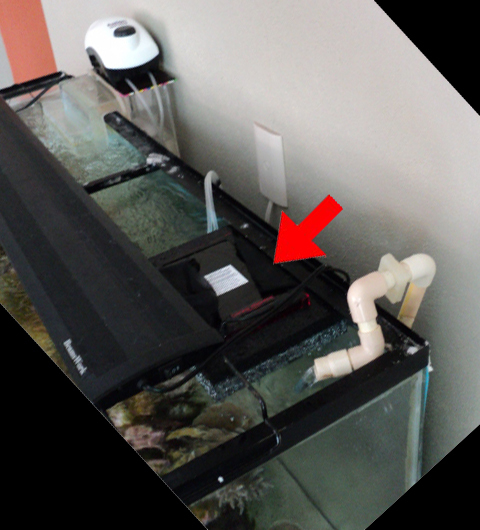 Make sure to put any pump above the aquarium so that it will not drain any water if it shuts off. "The [SURF2] is great, works perfectly keeps nutrients low. I still have a bit of bubble algae but it's slowly disappearing. Works well and takes less space than the [waterfall] scrubbers" -- Millar on the UR site. 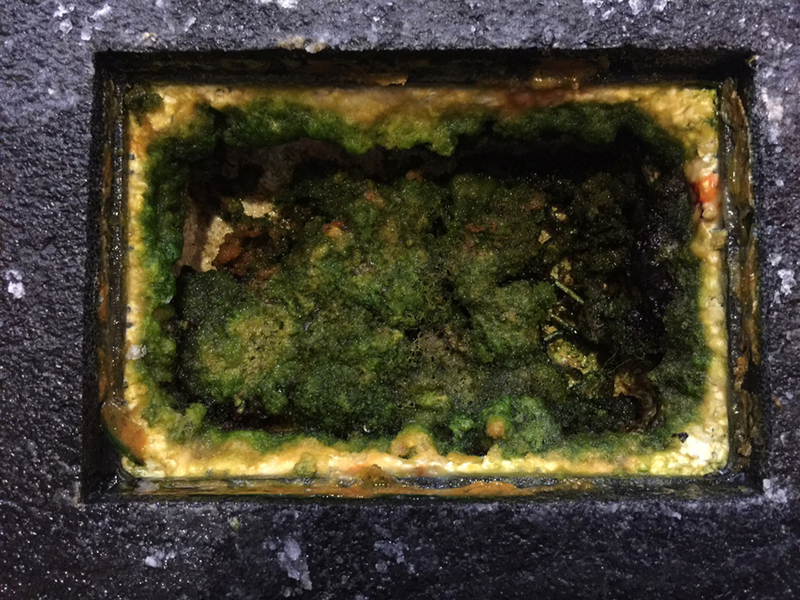 Translated from Portuguese by Google: "Earlier this year the glass of my [DIY] algae scrubber (Model Basso) broke. Due to lack of time and manual skills, not tinkered with skimmer and was only for a few months. decided to spend a little and bought SURF2 of Santa Monica, which measures 20cm x 15cm by 15cm x 10cm outside and inside (area for growth of algae). model is interesting because it is small and is floating in the sump. With that much space gained by removing the previous ATS. SURF2 installed but a few days after my skimmer pump has gone bad. In two weeks the ATS already started forming algae and I played without skimmer for almost one month, only with ATS. Even then parameters were normal. These are photos from yesterday, two months after installation. Already cleaned the box twice and am already almost needs to take algae again. algae that formed in my display during the relax (without ats and skimmer) have gone missing. With the lid closed does not make any noise. You hear only if they get too close" -- Luis Iarossi on the IPAQ site. 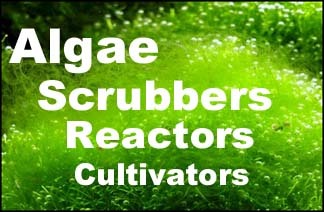 Original text: "No início do ano a placa de vidro do meu algae scrubber (Modelo Basso) quebrou. Por falta de tempo e habilidades manuais, não consertei e fiquei só com skimmer por alguns meses. Resolvi gastar um pouco e comprei o Surf2 da Santa Monica, que mede 20cm x 15cm por fora e 15cm x 10cm por dentro (área para crescimento de algas). O modelo é interessante pois é pequeno e fica flutuando no sump. Com isso ganhei muito espaço ao retirar o ATS anterior. Em 01/05/2014 instalei o surf2 mas poucos dias depois meu skimmer deu problema na bomba. Em 2 semanas o ATS já começou a formar algas e eu toquei sem skimmer por quase 1 mês, apenas com o ATS. Até então os parâmetros estavam normais. Essas são fotos de ontem, 2 meses depois de instalado. Já limpei a caixa duas vezes e já estou quase precisando tirar algas novamente. As algas que se formaram no meu display durante o período de relaxo (sem ats e skimmer) já sumiram. Com a tampa fechada não faz barulho algum. Você ouve apenas se chegar muito perto." Last edited by SantaMonica; 12-12-2018 at 01:09 PM. Is this can handle for larger tank? Not tank size. Feeding size. 2 cubes of frozen food per day. Looks awesome. Just placed an order. Just waiting on the final order of power supplies and foam to come in this week. Boxes / texture / ribbons / tubing are built. So are the LED lenses. Need to test the LEDs before encapsulation at high heat for a few days, and then after encapsulation under saltwater for at least a day. Today was a record harvest in one of the proto SURF2's in the reef pool: when lifted up and allowed to drain, the growth did not settle at all; it remained 2" thick. And apparently the SURF2's don't cause much evaporation; I'm topping off about 1 gal a day, and there is about 8 square feet of surface area. All feeding for my reef pool is now done by the scrubbers; thus it is now a closed system, food wise. Even my fire fish has been seen nibbling on small segments of gha. So your not throwing away the harvest, your feeding it to your stock ? Led lenses ?? Why are you using lenses ? Do you use a 700mA power supply ? Are you feeding just from the scrubber? No meats for the Carnivores? This can't be right. If you research trophic levels, by the time you go from pods to mysids to fish you would need a massive scrubber (and then one that grew appreciable amounts of micro algae and diatoms). Perhaps SM has no meat eaters!